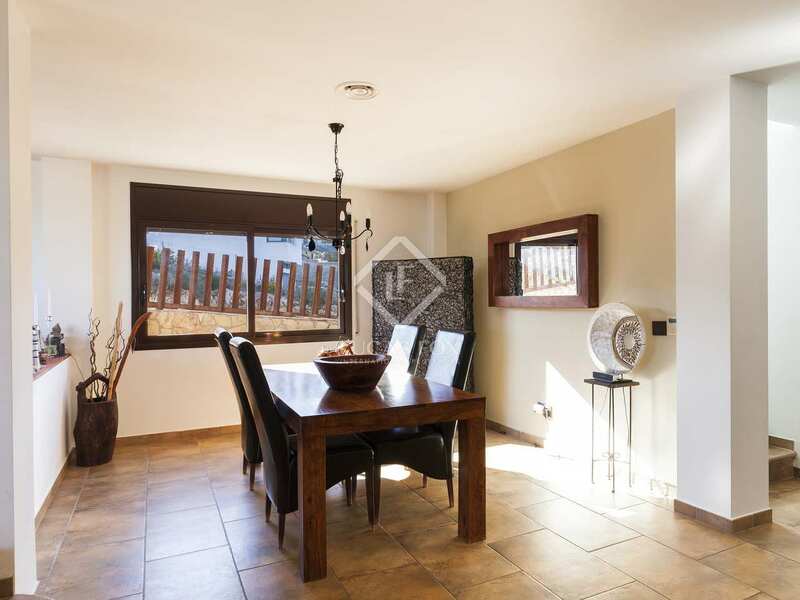 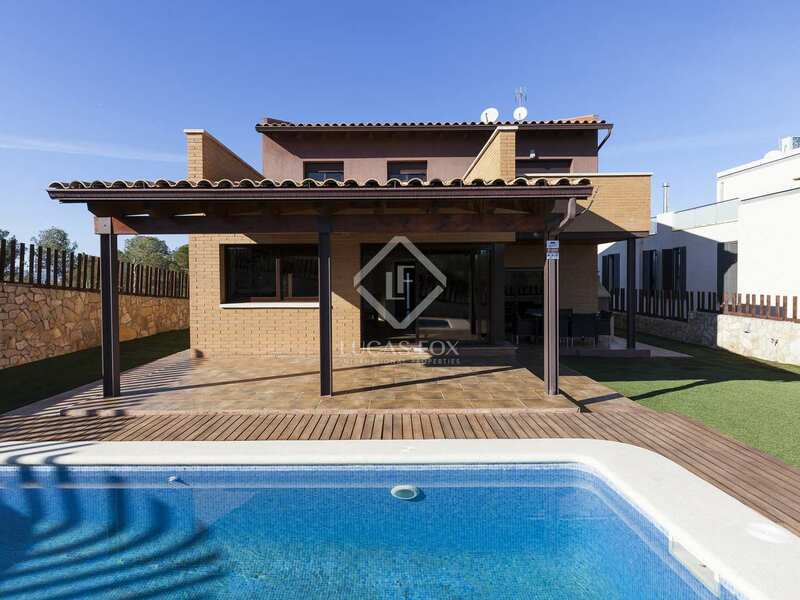 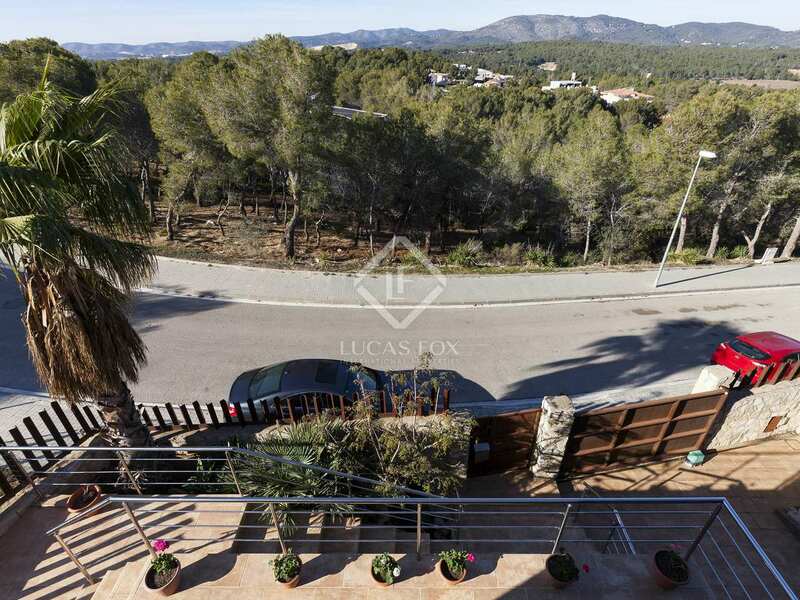 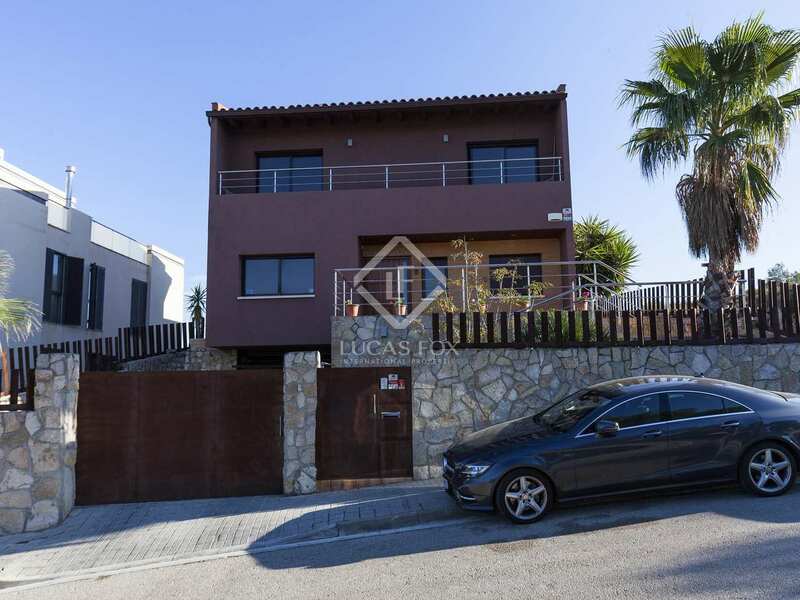 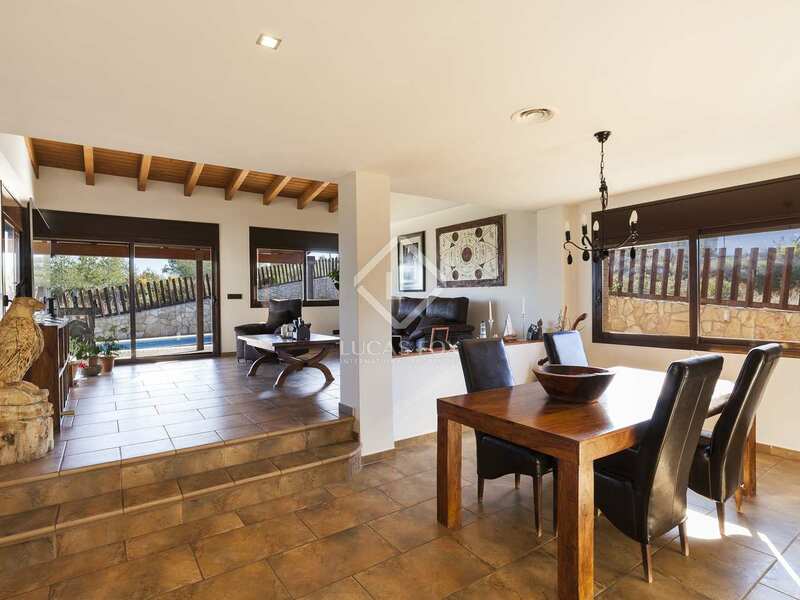 Attractive, spacious family villa located in a cul-de-sac in a peaceful residential area of Els Cards, just a 5-minute drive away from Sitges and walking distance to international schools. 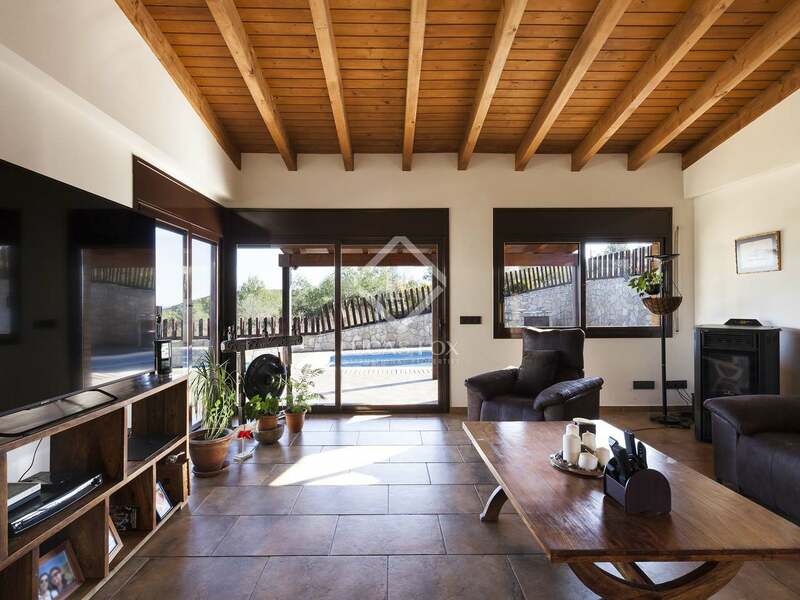 Built in 2006, the house is in perfect condition and has a very attractive design that merges contemporary finishes with rustic charm. 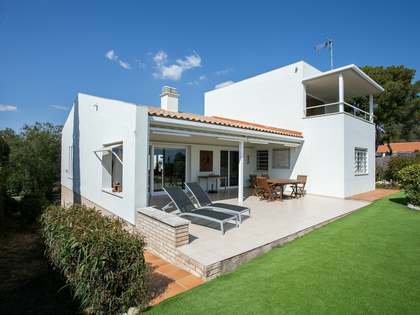 Outside we find a beautiful rear garden with a covered terrace, swimming pool and lawn and great sea views. 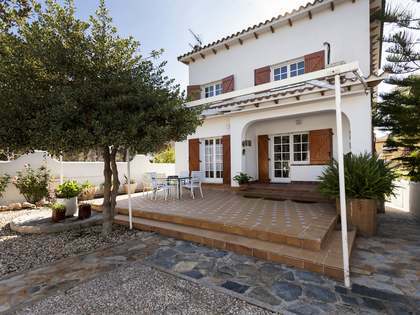 The garden wraps around both sides of the house and there is a barbecue. 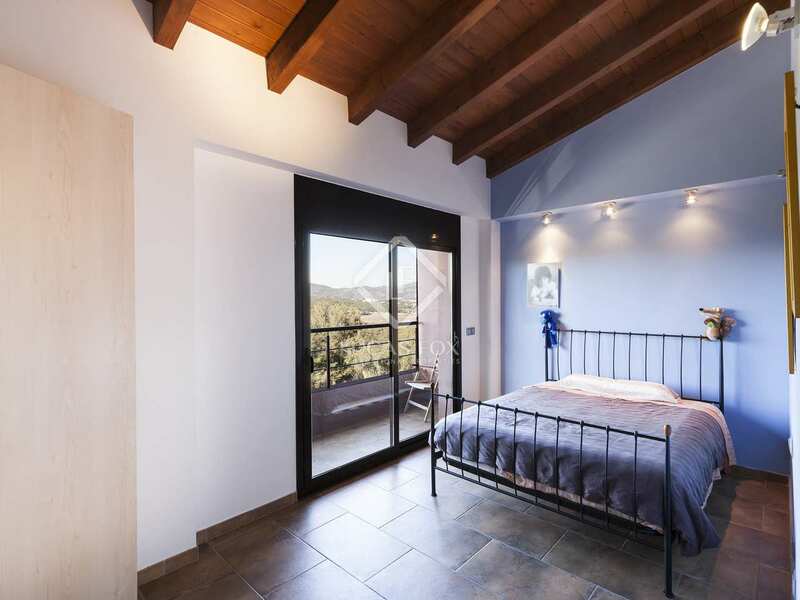 We enter the property via a large front door and there is 1 bedroom to the left which is currently used as an office, and a bedroom and bathroom to the right; all with green country views toward the church of St Pere. 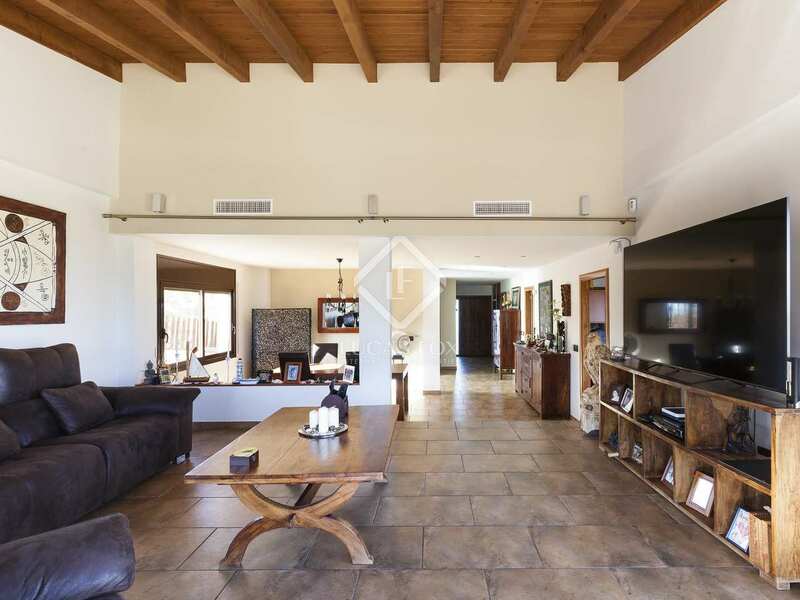 The very large, open plan, split level lounge-diner leads off to a spacious kitchen on the left with garden access, a pantry and a laundry room. 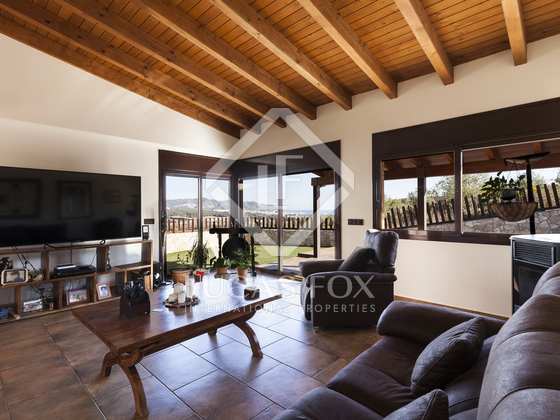 From the living room there are stunning sea views towards Sitges. There are sliding glass doors out to a covered terrace for dining (access also from the kitchen), a swimming pool and spectacular views of nature, Sitges and the sea. 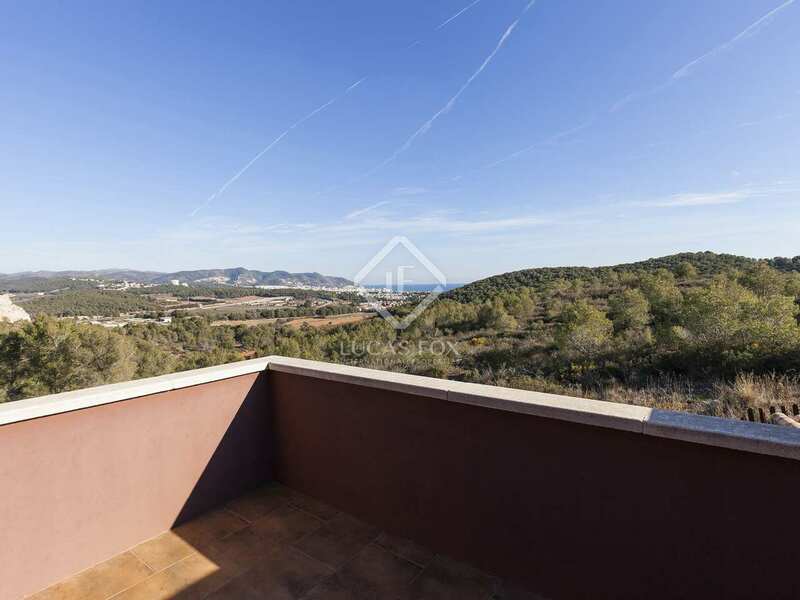 Upstairs are 3 more bedrooms, all doubles, 2 with a terrace and views of St Pere. 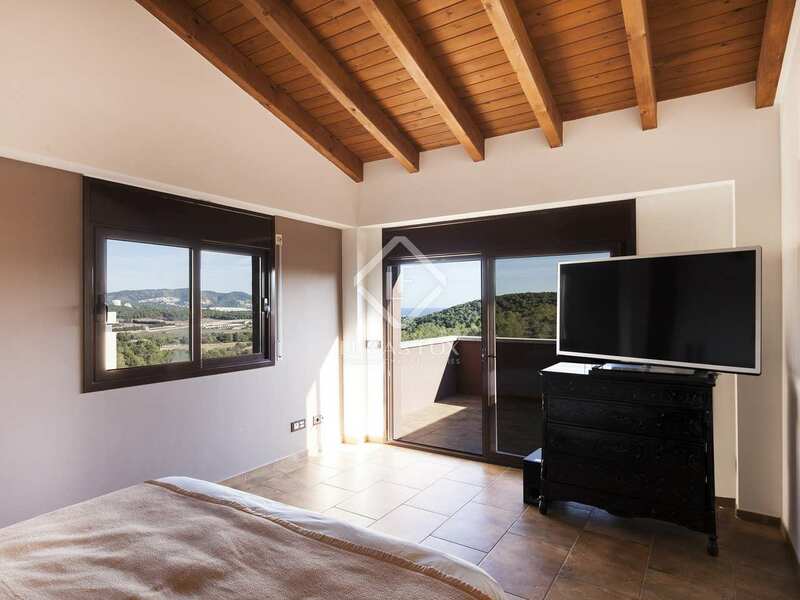 The master suite has a walk-in wardrobe and a terrace enjoying sea views over the 10-hecatare nature reserve towards Sitges and the sea. 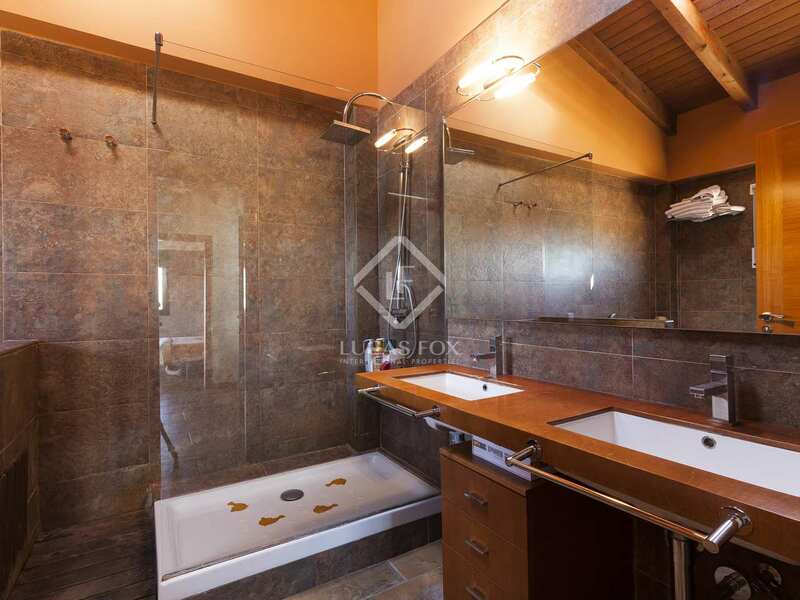 The master suite bathroom has a hydromassage bath and separate shower. 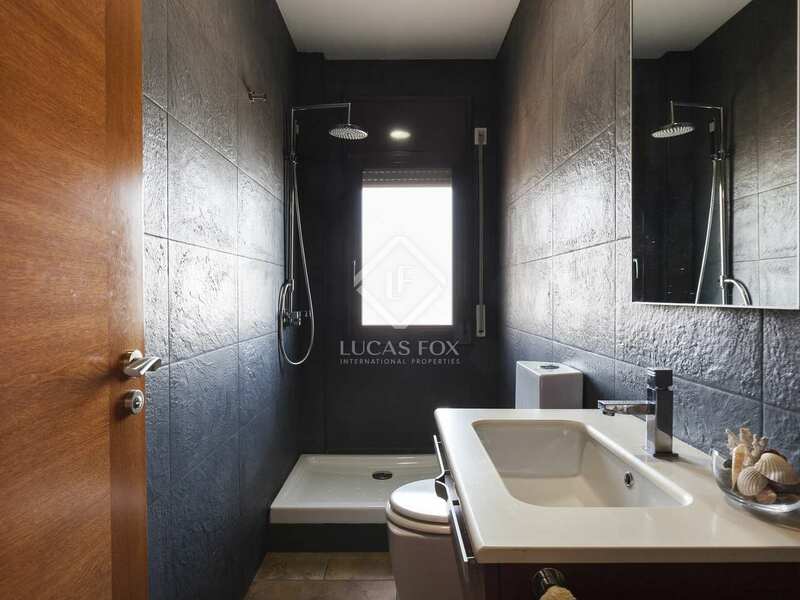 There is a second complete bathroom on this floor with a shower, twin sinks and a laundry chute. 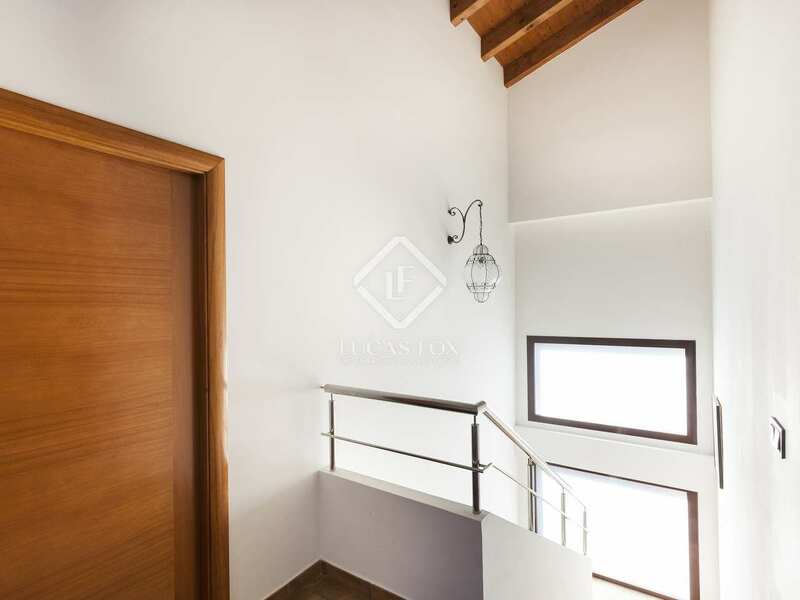 In the basement there is a connection for a spa, space for a home cinema, a 3-car garage and a great bodega and bar. 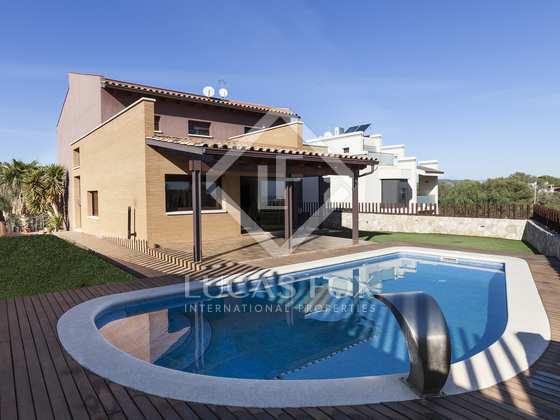 The house has an alarm system, underfloor heating throughout and high ceilings. 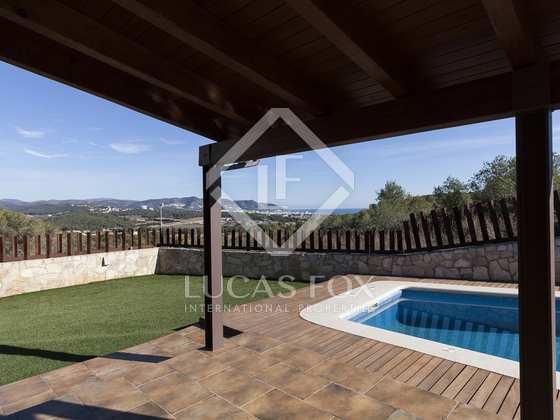 A truly luxurious property in an area close to amenities with incredible views. 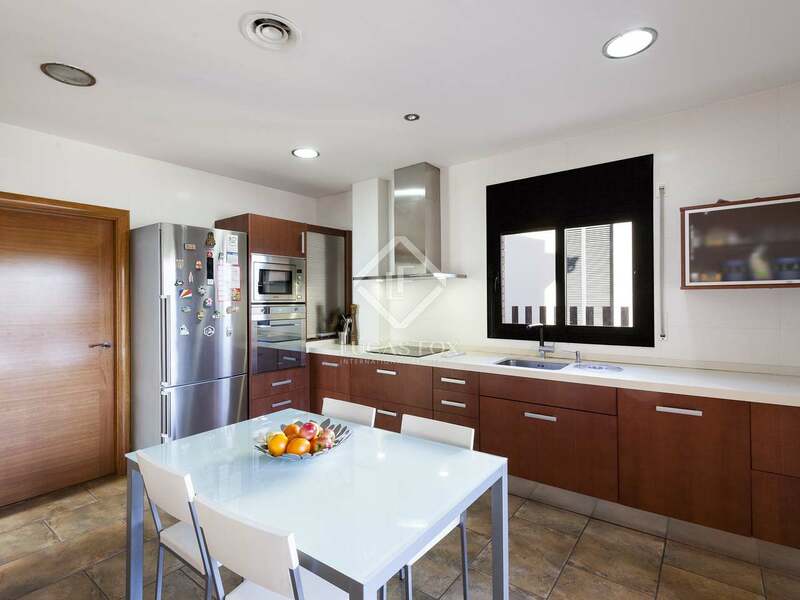 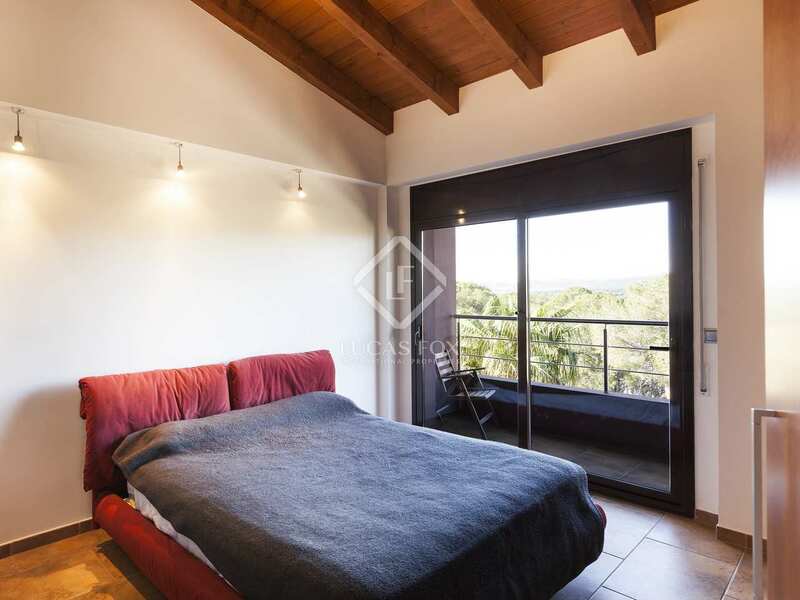 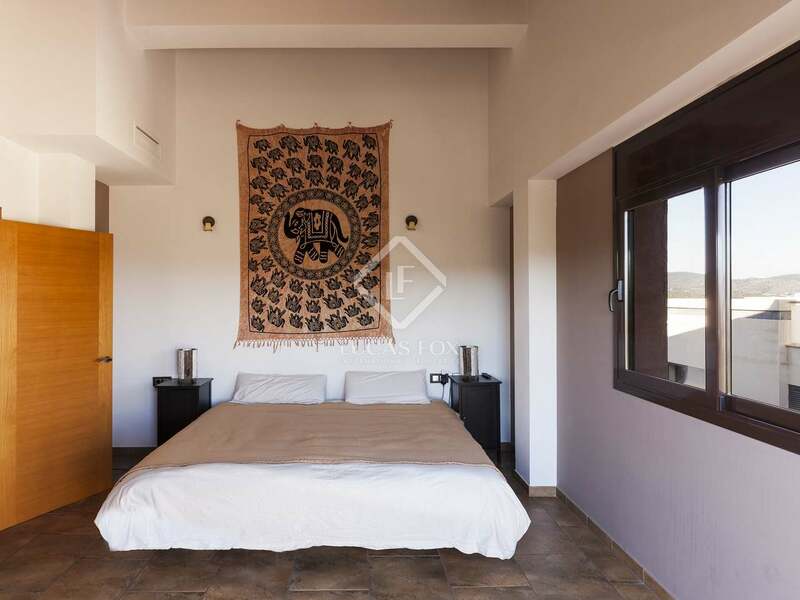 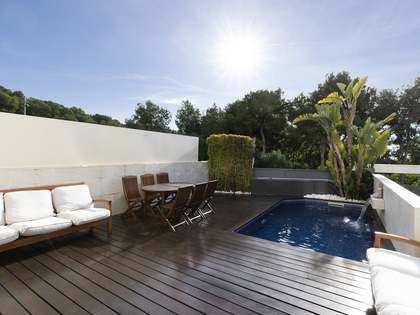 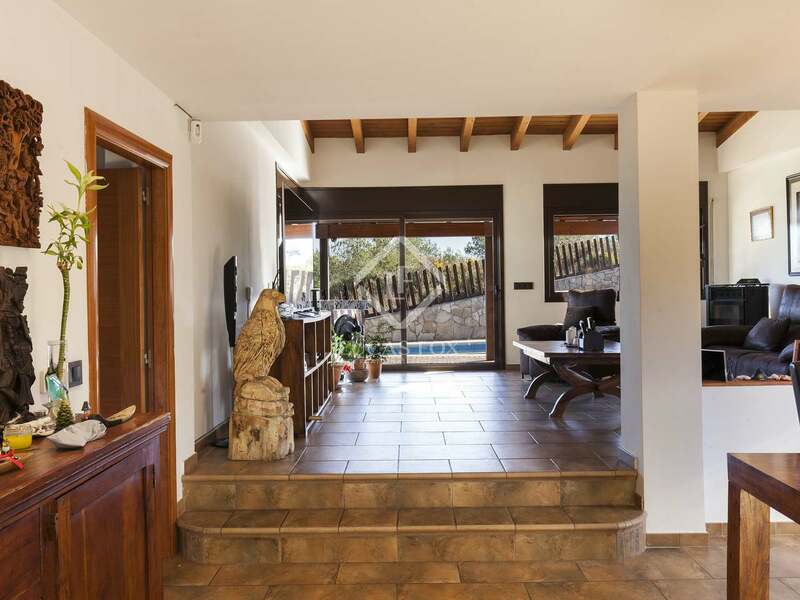 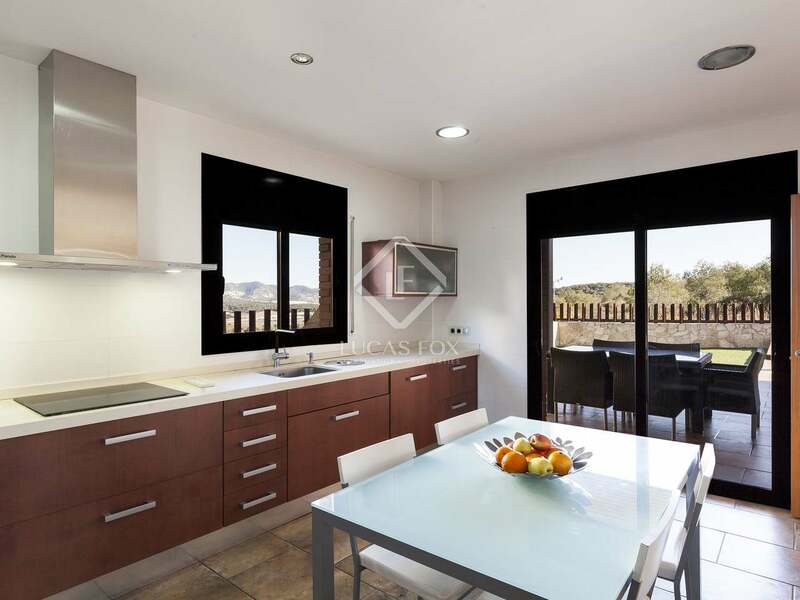 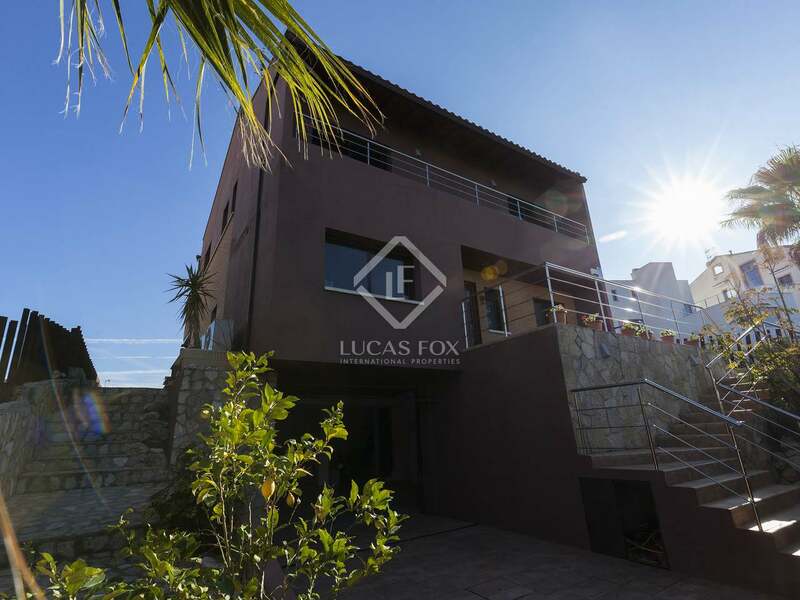 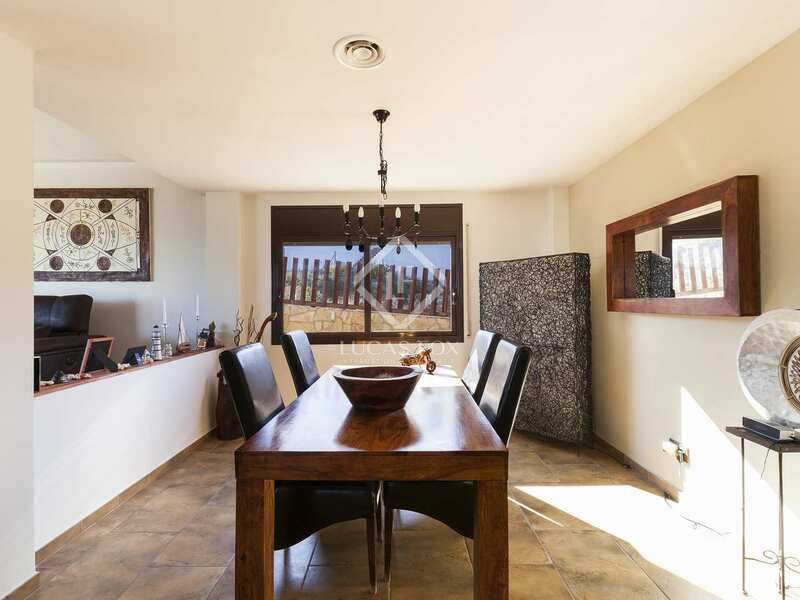 This property is located in Els Cards, very close to 3 international schools and a 5-minute drive from Sitges. 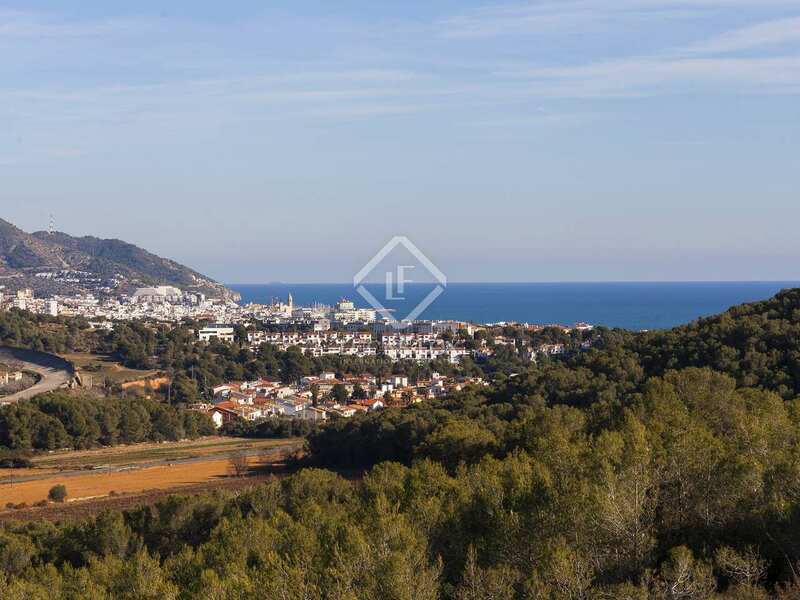 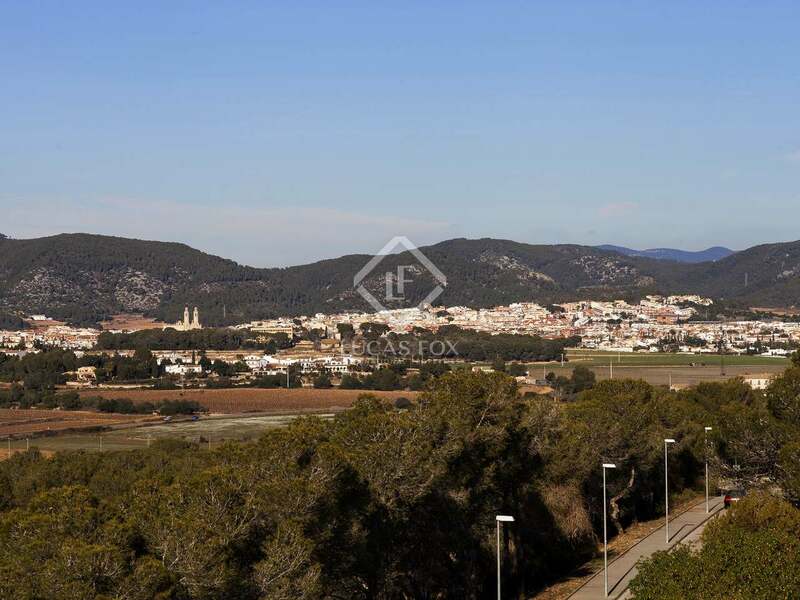 It is just a couple of minutes to the Rambla del Garraf with major supermarkets and stores, and nature reserves both to the front and rear.